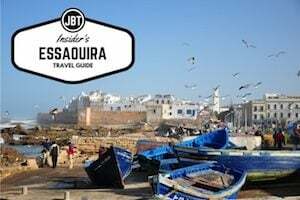 Most people traveling internationally end up staying at least a day or two in Casablanca. 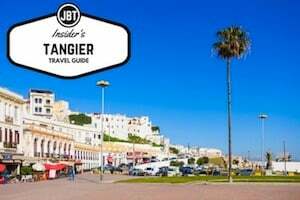 After touring the towering Hassan II Mosque, the largest mosque in Morocco and one of the very few that non-muslims are allowed entry, maybe they take a romantic stroll along the seaside boardwalk? Maybe memorable dinner at one of Casablancas many fine-dining establishments, such as Rick’s Cafe? But then what? It’s strange to think, but in a city as storied as Casablanca, there are relatively few real tourist attractions. The city is a large, bustling metropolis, replete with fine-dining options, five-star spas and high-end fashion. There are also numerous festivals, concerts and cultural events. For travelers looking to experience something traditionally Moroccan in Casablanca, well, the pickings, as they say, are slim. 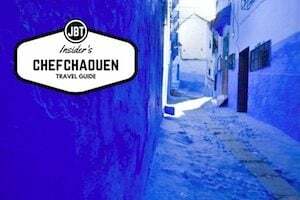 Astute travelers looking for their fix of traditional Morocco in Casablanca head to the Quartier Habous. Or rather, the Habous Quarter. 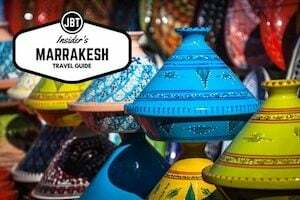 This area is more commonly known as Les Habous by the locals and travelers in-the-know. 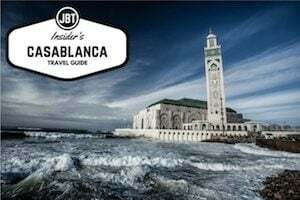 The Casablanca Habous Quarter is located southeast of the Hassan II Mosque, on the other side of the city from the French Quarter. Because the neighborhood is not easily accessed by the tram line, it’s best reached by petit taxi. Every taxi driver in the city seems to know where “Les Habous” is. A ride shouldn’t cost you much more than 10-15Dh. After the taxi drops you off at the main roundabout in the Habous Quarter, you’re in for a real treat. The district of Les Habous developed during the French protectorate, primarily from the 1920s to the 1930s, to accommodate families of merchants from various regions of Morocco. Part of the reason for the influx of people from around the country to Casablanca was caused by the policy of Hubert Lyautey that kept the residential areas of Moroccans and Europeans separate. Lyautey became the first French Resident-General in Morocco from 1912-25. In 1921 he received a promotion to “Marshal of France.” Lyautey is important in the development of contemporary Morocco and was dubbed the “Maker of Morocco” and the “French Empire Builder.” He even made the cover of Time Magazine in 1931. The architecture reveals the influence of this era. Wide pedestrian-friendly streets and covered sidewalks are the rule. However, the inspiration of this neighborhood is distinctly Moroccan. Bazaars and souks covering the entirety of the neighborhood. The neighborhood itself takes its name from the Moroccan word, habous. This refers to the traditional religious assembly that organizes the allocation of dwellings within the medina. The plans of the district were designed in 1917 by Albert Laprade, deputy of Henri Prost, then by Auguste Cadet and Edmond Brion. The neighborhood was built on land given by a wealthy landowner, Chaim Bendahan, to the administration of Habous. The Casablanca Habous Quarter is a unique example of how the French rebuilt a Moroccan medina while respecting the traditional style and habits, and how the French architects, including Henri Prost, managed to comply with the rules of modern urbanism. The Casablanca Habous Quarter is now home to many artisans, booksellers and other shopkeepers. 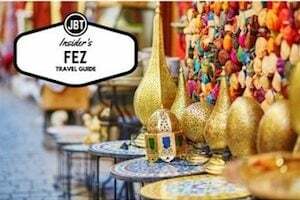 Vendors here sell everything from fresh fruit and vegetables, seasoned olives, poultry and spices, to pottery imported from Fez and Safi, as well as handwoven carpets from tribes all around the country. For many travelers, the Casablanca Habous Quarter is a mini-Marrakesh, but without the high-pressure sales. The avenues here are pleasant to stroll around, a veritable feast for the senses. Shop owners are friendly, occasionally asking you into their shops, but for the most part leave you be and, because it’s Casablanca, prices are more-or-less fixed and the sales tactics made famous (or rather, infamous) by shopkeepers in the more popular, aged labyrinthine medinas of Marrakesh and Fez, are left somewhere outside the city limits. The neighborhood is a rich blend of contemporary Morocco with its ancient past while the architecture remains – an homage to the French influence of the country. 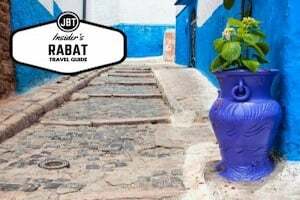 All of this makes the Habous Quarter an ideal destination for those who want to stroll through history, capture a breathtaking photo, or do some last-minute souvenir shopping.